Miami Visual Collective’s founder, Jorge Parra, was among the photographers selected -by invitation only- to participate in an interesting project called “Fashion Tails”. Blending fashion and social awareness, Fashion Tails aims to educate the public about the plight of homeless animals. 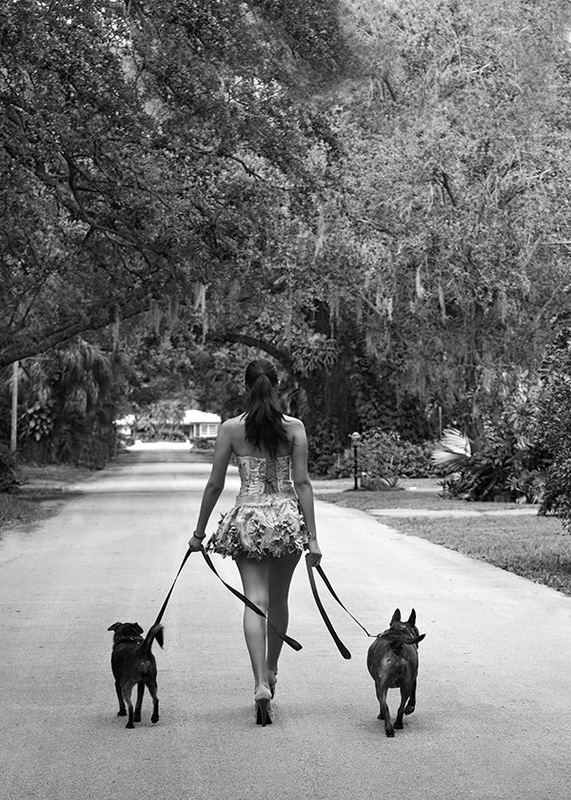 Under the general production and coordination of Miami Fashion Designer Eva Danielle Wittels, photographers were encouraged to create their own concept for a fashion shoot involving couture models and homeless cats and dogs. The animals used in the photo shoots are waiting for caring people to adopt them and take them to a real home, not just a temporary rescue house. Long-term hosting is not financially viable, so these animals risk being put down if not adopted quickly. This is when fashion photography kicked in! With the help of the non-profit agencies that are temporarily hosting the animals, like Paws4You, cats and dogs were brought out to on location or to the studio facilities using local government transportation. Fashion models were styled and dressed, and every photographer made his/her contribution to this noble cause. “I also have to thank models Iryna Storoshuk and Lidya Ramos for her talent and contribution to the shooting”. All the images from the photo shoot will be published in a book that is currently being edited. All the proceeds from the print and book sales will be entirely donated to the non-profits caring for these animals. Written by Claudia de Rubeis. 23 Sep	This entry was written by MiamiVisual and published on 12 at 12:56 am. It’s filed under MVC Blog Post and tagged Advertising Photography, Dogs and cats, Fashion Photography, Jorge Parra, Pets, Social causes. Bookmark the permalink. Follow any comments here with the RSS feed for this post.